Many people assume rain gutters simply act as aqueducts that carry water from the roof to the ground. While that’s true, they do more than that. In fact, they are essential to keeping your home protected from damages that can be expensive to repair down the line if left untreated. That’s why it’s important to hire a professional service to clean your gutters. To avoid these problems from occurring, we recommend you schedule routine maintenance with a professional service. The experts are equipped to handle gutters that are clogged and overflowing with debris so you don’t have to. 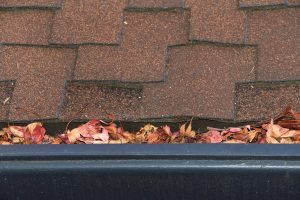 Due to the potential damage that can come from clogged gutters, it’s vital to regularly clean them out. It’s generally recommended you do this twice a year, although you may need to do this more depending on where you live. For example, if you live in an area with heavy rainfall, you may want to clean out your gutters a few times a year. You can, of course, attempt to do this yourself. However, a professional service knows the best methods of gutter cleaning and has the proper tools to conduct the service safely. Rain gutters play a vital role in keeping your house in tip-top shape. That’s why keeping on eye on them and scheduling routine maintenance is part of a homeowner’s job. Contact a professional gutter cleaning service today to schedule your next clear-out before the problem gets out of hand.